I'm always on the lookout for cozy mysteries to read and since this one featured a librarian as the amateur sleuth it sounded like the perfect read. Past Due for Murder is the third book in Victoria Gilbert's Blue Ridge Library series. I haven't read the first two but I want to read them now. I didn't feel the murder of the professor and the missing student were the central focus of the novel. It felt like the story was more about the relationships between the various characters. Speaking of the characters, it's definitely a colorful bunch living in Taylorsford. There are references to the previous mysteries Amy has been involved in, but only to convey details pertinent to the current story so in that respect, I don't think I really missed anything by jumping into the series with the third book. What I do think I missed by not having read the first two books is possibly some of the character development. In this book, the characters felt well established: characters that would be known to readers. Kind of like when you go to a party where everyone has known one another for years - you can engage in conversation and enjoy yourself but you feel like you are on the periphery. That being said, I enjoyed the characters and want to get to know them better which is why I want to go back and read the first two books. 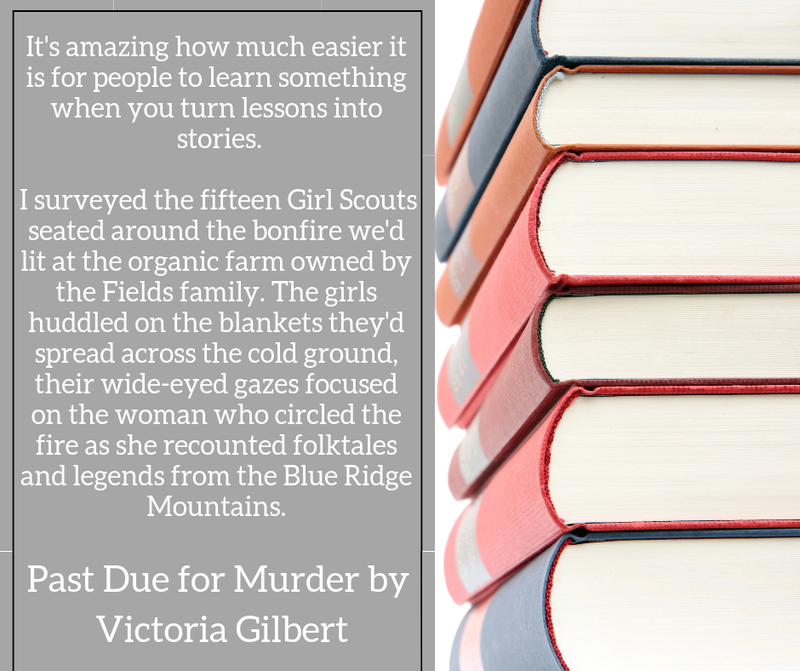 Past Due for Murder is a light, easy read - the perfect fluff read for curling up under a cozy blanket on the days it is still winter or for laying in a hammock on the spring-like days. There wasn't as much bookish referencing as I had hoped with a library mystery, but it was still an enjoyable read. 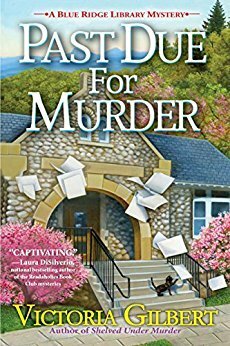 If you are looking for a light read with interesting characters, then Past Due for Murder would be a perfect read. Here's another teaser from the ARC. This post is linked to First Chapter, First Paragraph at I'd Rather Be At the Beach. I enjoyed the first book in the series...it's time for me to catch up on books 2 and 3! I'm fairly certain that I own the first book in the series - unread as yet. I like the beginning of this one. Oh I like a good cozy, especially those with a bookish theme. I wonder if I have the first one. I also love books with a bookish twist. This looks good. This is definitely on my wishlist. It sounds great. Sounds good and I love the cover. I do enjoy a cozy now and then.